Meezan Bank’s Dal Bazar Branch, Gujranwala, recently held an Islamic Banking Awareness Seminar at Gujranwala Chamber of Commerce and Industry. The Bank’s skilled team of professionals presented the audience with the basic knowledge regarding Islamic finance while also unveiling to them the benefits and opportunities available in Islamic banking products. 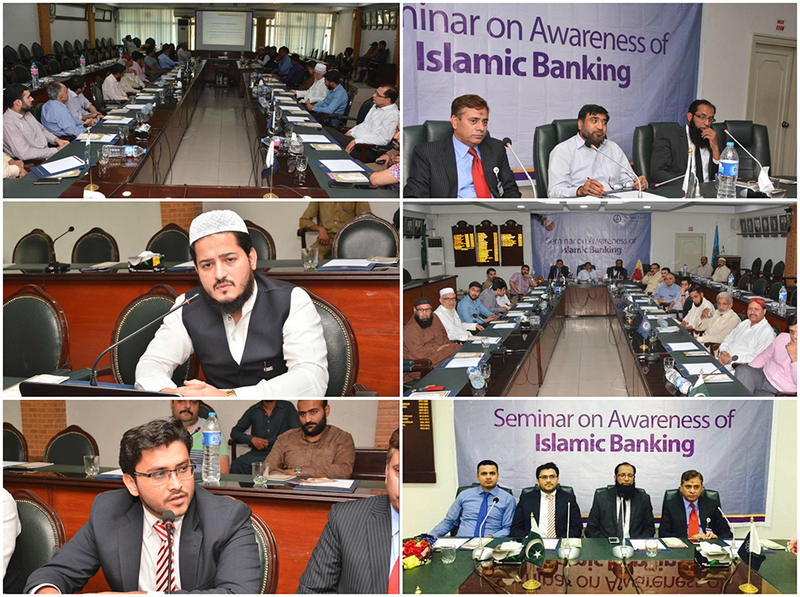 Business community, branch customers as well as general public were given the opportunity to not only discuss and appreciate the issues and sub-topics in Islamic banking but also hear directly from seasoned Islamic banking experts from Pakistan’s first and largest Islamic bank. The seminar was attended by a number of well-known personalities including President of Anjuman-e-Tajiraan, President of Bank Square Market and Senior Vice President of Chamber of Commerce, Gujranwala. Mufit Muaz Ashraf from the Bank’s PDSC department addressed the audience that was also presented with various material related to Islamic Banking in the shape of brochures and books etc.